The Wilfong Family lives in Bridgeton, within smelling distance of the landfill. They're concerned about the landfill's effects on their health. Three of the Wilfong kids have asthma. Republic Services is installing 40 new gas collection wells at the Bridgeton Landfill by April 15. Republic Services, Inc. is one of the largest waste management companies in the United States. It’s a busy Saturday morning at the Wilfong home in Bridgeton. Parents Melissa and Gary are trying to get their six kids ready for the day. They’re an active bunch, but Gary Wilfong says some days it’s been tough to leave the house because it smells so bad outdoors. He says he first noticed something was wrong last fall. “It was almost a chemical odor, and it was — it was overpowering at times, to the point where you didn’t like to be outside,” Wilfong says. That overpowering smell was coming from the Bridgeton Landfill. Decomposing trash deep inside has been overheating, creating a kind of flame-less fire. It’s been smoldering underground for well-over two years, releasing fumes into the air. Wilfong says sometimes he’s felt nauseous doing yard work. And he’s worried about his family. Three of his children have asthma, and his wife’s been having trouble breathing too. “With the way this smell is, and as long as it’s been going on, we’re starting to get some concerns about, you know, our health, our kids’ health, and the long-term effects of being exposed to all this," Wilfong says. The Wilfongs live about three miles away from the Bridgeton Landfill. But there are other neighborhoods closer in, along with several schools, a senior living center, and a hospital. And it’s hard to know exactly what people within smelling distance of the landfill have been exposed to. 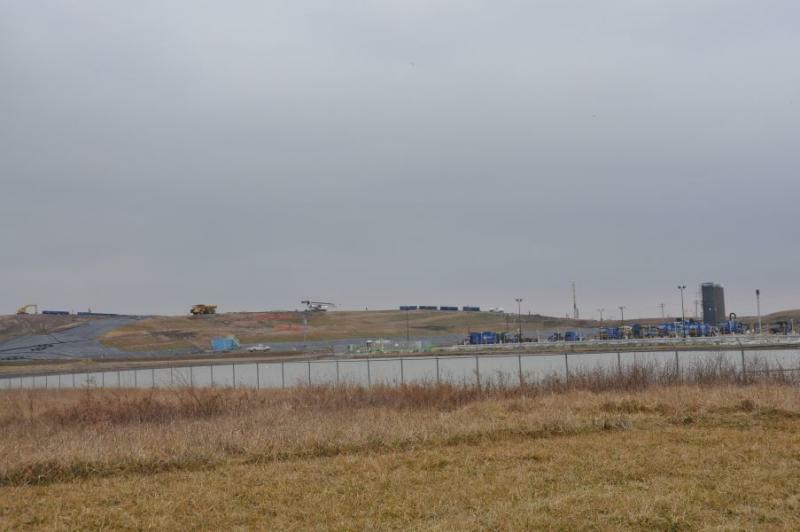 The regulatory agency responsible for the site, the Missouri Department of Natural Resources, only started monitoring the air near the landfill last month. A map showing the various elements involved in the situation at the Bridgeton Landfill. The DNR has refused repeated requests to talk about the sampling results, referring me instead to its website. There’s a lot of information on the DNR's website, including hundreds of pages of tables listing concentrations of compounds like benzene, a known carcinogen, and hydrogen sulfide, a gas that smells like rotten eggs. Inhaling it can cause headaches, irritate your eyes, nose, and throat, and make it difficult to breathe — especially for people with asthma or other chronic respiratory diseases. So far, the DNR has only detected unhealthy emissions on a handful of dates. At the Bridgeton Landfill, a system of blowers draws underground gases into two massive flares that are working 24-7 to burn off the fumes. Jim Teter directs infrastructure development for Republic Services, the company that owns the landfill. Teter says their number one priority is to manage odors. Two flares at the Bridgeton Landfill are burning off methane and other gases. And the construction hasn’t stopped. Republic Services has been drilling more gas and wastewater collection wells, and plans to put a plastic covering over the landfill to try to contain the odors. But smelly, potentially toxic, emissions aren’t the company’s only problem. There’s radioactive waste about 1,200 feet away. The landfill is in an old limestone quarry. Teter says over the past two years, the underground fire — or reaction, as he calls it — has slowly spread across the southern part of the quarry, covering an area equivalent to more than 15 football fields. But he says it doesn’t threaten the radioactive waste to the north, in what’s known as the West Lake landfill. A view of an overgrown area in the West Lake Landfill that contains radioactive waste. But readings from Republic Services’ own temperature monitors are not so reassuring. Data posted on the DNR’s website show that underground temperatures in the narrow neck between the north and south quarries have been increasing since November. The most recent readings are from Feb. 18. On that date, eight of the company’s nine monitors recorded subsurface temperatures of more than 140 degrees Fahrenheit. According to federal regulations, anything over 130 is too high. Canadian engineer Tony Sperling isn’t working on Bridgeton, but he’s been involved with landfill fires for about 15 years. “If you know you have a fire, you want to get on it and put it out, not let it smolder away, because things are going to get worse, not better,” Sperling says. Sperling says as long as a fire is smoldering deep underground where there’s little or no air, it should spread pretty slowly. But as it burns, it consumes material in its path, creating an empty space, or void. If the void gets big enough, it can cause a collapse. According to Republic Services, the top of the landfill has dropped about 45 feet since the fire was first detected. So far, the company says there haven’t been any sudden cave-ins. But state officials say the fire has intensified since the start of the year and is now spreading at a rate of about 25 feet a month. "Nobody Knows What The Outcome Is"
And many area residents aren’t convinced the situation is under control. Dawn Chapman is a stay-at-home mom in Maryland Heights, a few miles away from the Bridgeton Landfill. The fire has turned her into a citizen activist. Dawn Chapman says she's worried about the Bridgeton Landfill fire. She's been calling government agencies and what she's been told has left her more concerned. For the past two months, Chapman’s been calling local, state, and federal officials, trying to find out what’s going on at the landfill and whether her family and neighbors are at risk. “I started with my municipality, then was taken to the EPA, then was taken to DNR…” Chapman trails off. She says nothing she’s heard has made her feel any better about the fire — or the radioactive waste. Chapman and other area residents have joined forces with local advocacy groups to try to get government officials to do more to ensure their safety. Their efforts seem to be making a difference. The Missouri Department of Natural Resources recently hired what it calls “an expert contractor” to try to get a better handle on whether or not the gases from the fire pose a health risk. And at the DNR’s request, the Missouri Attorney General’s office filed a lawsuit this week against Republic Services. The suit alleges numerous environmental violations at the Bridgeton Landfill, and demands that the company clean up air and water contamination and put out the fire. Republic Services says it’s working with the Attorney General and shares his goal of protecting the local community. *NOTE: At a press conference on March 27, Mo. Atty. Gen. Chris Koster said $65 million has been spent by Republic Services, Inc., to upgrade its systems at the Bridgeton Landfill. However, when asked to confirm Koster's number, Republic’s local spokesperson refused to comment further. 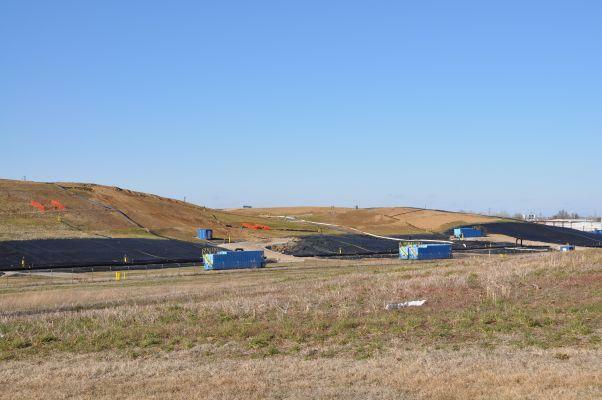 A fire has been smoldering underground at the Bridgeton landfill for more than two years. People living in the area have complained of strong chemical smells, and of symptoms including burning eyes and headaches. Earlier this month, the Missouri Department of Natural Resources tested the air there for toxic chemicals. The DNR took samples on two separate days at six sites near the landfill, including some in a residential area.